One of your responsibilities as a dog owner is to ensure the health and well-being of your pet. Aside from providing it with the basic necessities, you also have to make sure that you find ways to prevent your dog from getting sick. As they say, prevention is always better than cure. 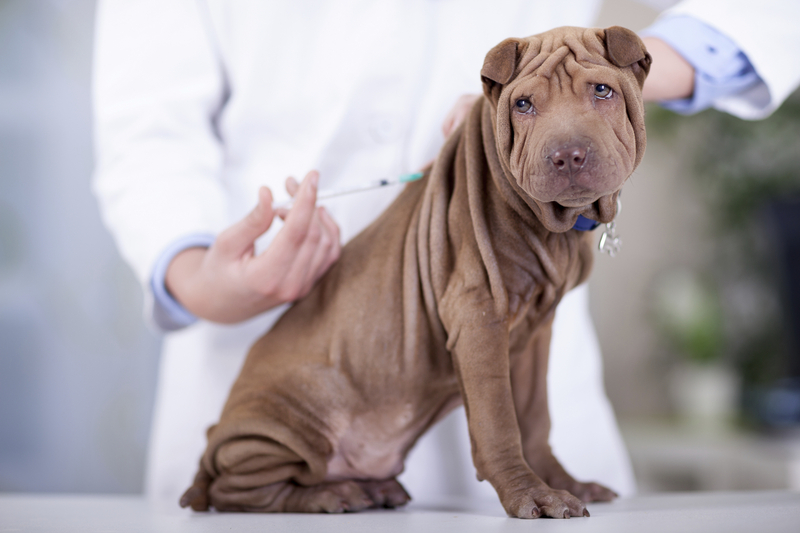 Just like humans, dogs also have vaccinations to protect them from potential virus or bacterial attacks. It is important to know which diseases are most common among dogs and which are the available vaccinations to prevent such illnesses. You can have your dog vaccinated by a veterinarian or in a pet specialty shop like Petco Services. You can inquire about the different vaccinations and packs that they have available or let them know which particular vaccine you want to get for your dog. To give you an idea, below are some of the most common illnesses to look out for and the corresponding vaccines for them. Parvovirus or parvo is an extremely contagious virus which your dog may catch through the feces of an infected dog. It has a death rate of around 91% if left untreated and it often kills puppies with underdeveloped immune systems. Some of the symptoms of parvo include dehydration, lethargy, diarrhea, and vomiting, so make sure that you observe your dog in case he shows any of these symptoms. To be sure that you can prevent your dog from catching this deadly virus is by giving him the parvo vaccine. Rabies is a viral disease which can be obtained from a single bite from an infected mammal. The dreaded virus targets the entire nervous system and it almost always results in death. Once the symptoms appear, there is no stopping it. Dogs who have rabies become too aggressive and are always on the attack mode, but dogs with paralytic rabies are the opposite. They show signs of slow loss of coordination, weakness and then paralysis. Even if your dog is up to date on the rabies vaccine, you should still need to see a vet if you suspect that your pet has come in contact with the virus. Some of the symptoms to watch out for include fever, seizures, a dropped jaw, inability to swallow, hydrophobia, and excessive salivation or frothy saliva. The canine distemper virus is extremely contagious. It targets the tonsils and lymph nodes and once inside the body of the host, it replicates, then targets the gastrointestinal, respiratory, urogenital and nervous systems. There is no known cure for canine distemper that is why the vets simply try to treat the symptoms. If your dog was able to outlast the virus, the risk of carrying or spreading the disease is reduced to zero. Its symptoms include high fever, runny nose, eye discharge, red eyes, lethargy, loss of appetite, coughing, vomiting, and diarrhea. The vaccine is given as a part of a 5-way vaccine or the DHLLP wherein the “D” stands for distemper. Your dogs must receive the vaccine at 6, 9, 12 and 15 weeks. Then a booster shot is administered every 12 months. Bordatella is a bacterial infection and is spread through exposure to infected dogs or the transfer of bacteria in food/water bowls and dog cages. The bacteria destroy the lining of the dog’s trachea, resulting in a high pitch cough, also known as kennel cough. Its symptoms include fever, sneezing, nasal discharge, and loss of appetite, which could all lead to pneumonia if left untreated. The Bordatella vaccine can be administered in two different ways, the traditional vaccine or as an inhaled nasal mist and is given once every six months. Once vaccinated, it usually takes dogs two days to develop immunity to the disease. The vaccine limits the severity of infection. The vaccine is part of a combination vaccine called canine distemper-measles-parainfluenza shots and DHPP shots. It is given initially at 8 to 12 weeks old. The second shot is at 16 weeks, then at 12 months and every 6 months after. Heartworm is transmitted by mosquitoes and not contracted like most of the diseases listed here. By the name itself, heartworm is the existence of worms in the right side of the heart. They are also mobile as they can transfer and invade other organs such as liver and kidneys. As the worms grow, they sometimes block and injure vital organs. Unfortunately, there are no signs or symptoms on its early stages. However, in later stages, symptoms include cough, lethargy, loss of appetite, and difficulty in breathing. There is no vaccine for heartworm, but there are preventative measures that you can take. When your puppy is around 12 to 16 weeks old, go to your vet and inquire about heartworm preventative. Through regular medication, heartworm can be prevented.